Harmony Smart Keyboard functions using the included Harmony Hub which allows it to control and connect with a wide range of devices beyond computers and Smart TVs. 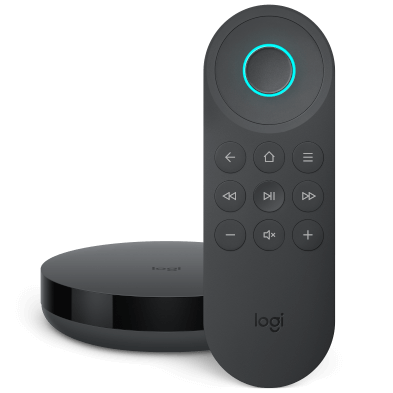 Compatible devices include content streaming devices such as Apple TV and Roku, gaming consoles such as Xbox 360, Xbox One, and PlayStation 3, home entertainment devices as well as Cable/Satellite Set top boxes (text entry not enabled), DVD and Blu-ray players. This article is only relevant for Harmony Smart Keyboard. Smart Keyboard is connected to Harmony Hub which enables the solution to control the entire entertainment setup. A single Activity button press, such as Watch TV, powers on the devices required for the Activity and automatically sets the correct inputs and settings for all the devices to display content. Learn more about understanding Harmony Activities. Guide, DVR, Menu and Info buttons are includes on the keyboard to easily access the Electronic Program Guide (EPG) of set top or satellite boxes, the recorded content in a DVR, menu display on TVs, and program info from a set top box while watching TV. Channel Up/Down, volume, page and colored buttons are also included. Volume buttons on the keyboard can be set up to control either the TV, an AVR, or a source device such as a PC or Mac. Transport buttons control the playback of content. PS3, Xbox buttons are accessed via the key labeled Windows. Since the hub is aware of the device to which it is connected, it can convert the Windows key to a PS3 or an Xbox command depending on the Activity and device connected with the Activity. PS3 navigation buttons are accessed by pressing a combination of FN and V, B, N, or M keys that map to Triangle, Circle, Square and Cross respectively. Xbox navigation buttons are accessed by pressing a combination of FN and V, B, N, or M keys that map to the respective Green, Red, Yellow, and Blue buttons on the Xbox controller respectively. 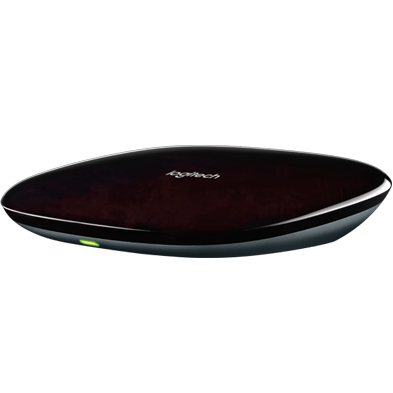 The included Harmony Hub connects to a wide range of devices with multiple technologies: USB, Bluetooth, Wi‑Fi, RF and IR. Smart Keyboard can connect to a wider range of devices such as Apple TV via Bluetooth, Roku streaming device via Wi‑Fi, and a most home entertainment devices via IR. Harmony Hub references a database of over 225,000 models of home entertainment devices from over 5000 brands allowing the Smart Keyboard solution to control all the devices in the entertainment center. In addition, Harmony continues to update the list on a daily basis as well as introduce enhancements to improve the compatibility with individual devices. 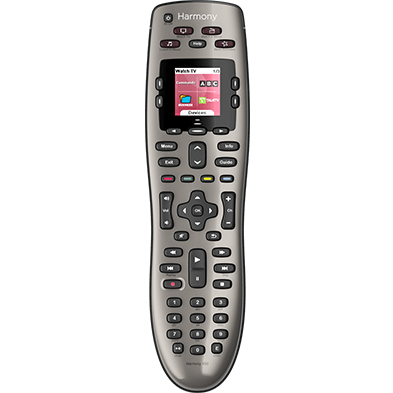 Harmony App turns every smartphone or tablet in the home into a personalized remote control. The app also makes setup simple and enables easy settings changes.